Introductions: Introductions of the bride and groom and wedding party. The superstition ritual of establishing the dominance of the new couple: When the newly married couple arrive at the reception, the best man and the maid of honor or some designee will race to the couple. 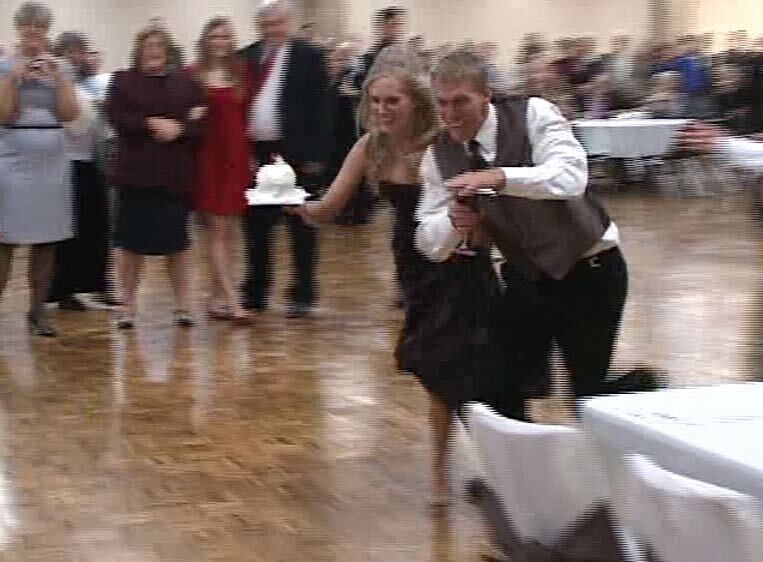 The female will race with a cake and the male will race with a glass of wine. Whom ever gets to the newly married couple first establishes whom will be the boss of the family. If the female runner gets to the bride first, the bride will be the boss and the same if the male wins the race. 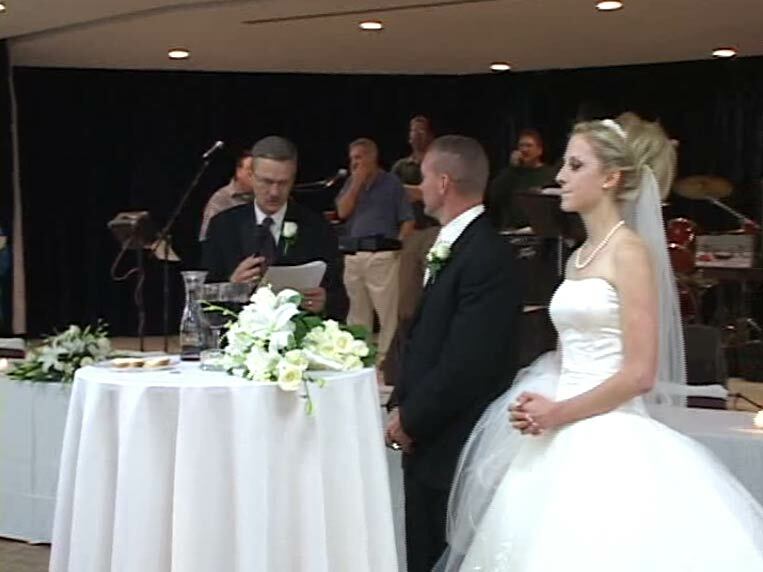 The bread and salt blessing: The parents of the bride and groom greet the newly married couple with bread, salt, wine and a silver coin at the front of the wedding table. * According to Polish tradition, we greet you with bread and salt, so that your home might always enjoy abundance”. In Polish culture, bread is considered a gift from God and must always be treated with deep respect and Salt, which comes from the earth, is a basic necessity of life. The parents perform this symbolic custom to signify a “Gift from God” and the “Basic necessity of Life” to show the unity that has been created of two people into one couple. 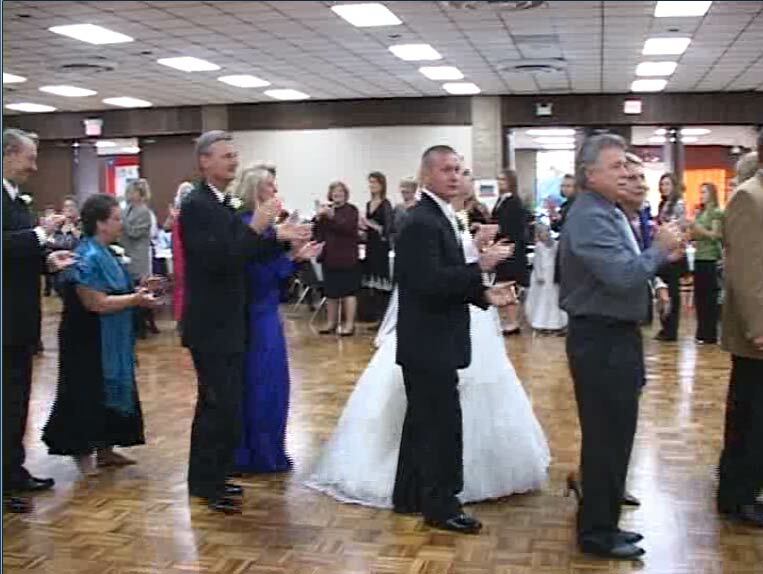 “The Grand March”: This is performed by the wedding party, parents and all the guests. 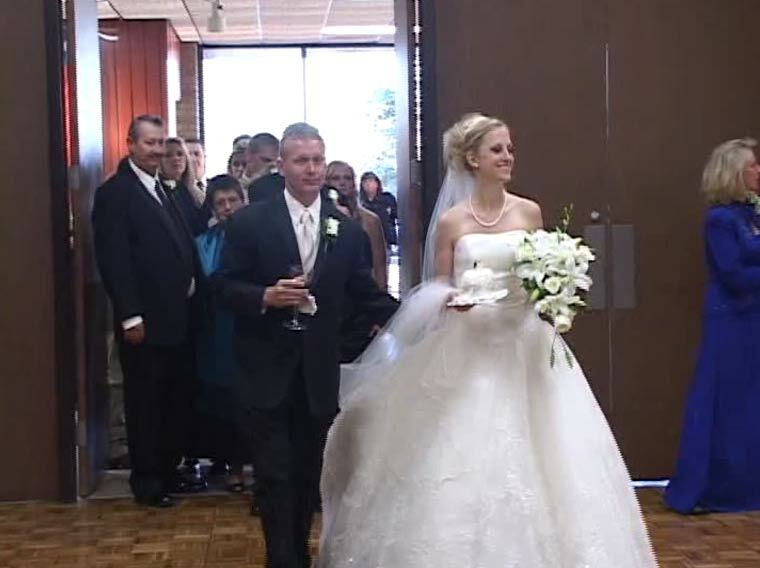 Originally, the bridal party, family and guests made a processional to the church led by a band from the “Dom Weselny” bride’s home and back to the home of the bride after mass. This was a way to announce to the village that their was a wedding and that everyone was invited. In olden days, there were no invitations or mail service, only word of mouth and the announcements made in church three sundays before the wedding. Today, the grand march is performed at the reception to honor that tradition. The wedding party and the guests are engaged to enhance the excitement of the celebration and to encircle the bride and groom in a double wedding ring for their first dance. 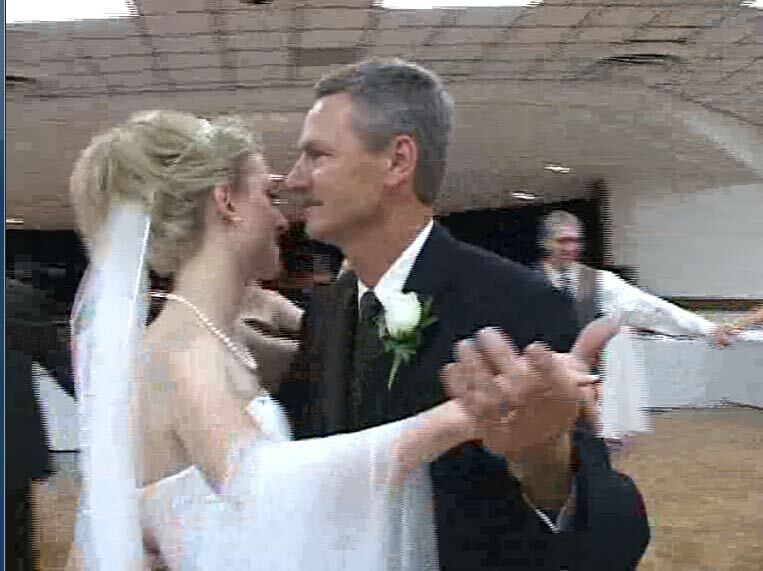 “Tatusu Waltz” “Daddy’s Waltz”: The father of the bride and his daughter dance while the guests form a circle around them. “The Mother/Son Dance”: The groom and his mother dance to the song of their choice while the guests form a circle around them. 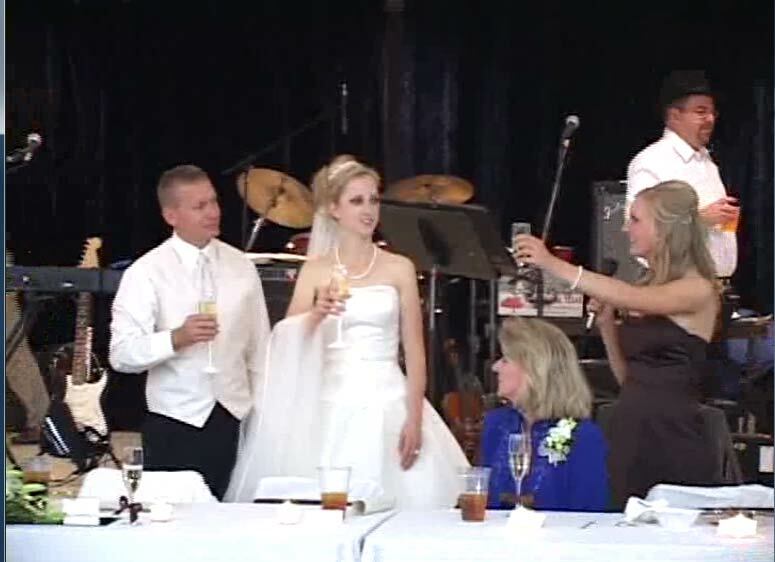 “Starszy Druzba and Starsza Druhna”: Toasts to the bride and groom. “Cutting of the Wedding Cake”: The wedding cake is cut by the house party and served by the bridesmaids to the guests.